LaBelle’s quiet tradition of excellence in agriculture and cattle ranching mirrors the reputation for excellence in legal services built over the past four decades by Associates and Bruce L. Scheiner, Attorneys for the Injured. We have a long-term record of representing those who have suffered injuries at the hands of careless or negligent drivers. Between Fort Myers on the Gulf Coast and the expanse of Lake Okeechobee, LaBelle is the county seat of Hendry County. Named for the daughters of county founder Francis A. Hendry, LaBelle was incorporated in 1925. LaBelle is located on the Caloosahatchee River, and is the site of the annual Swamp Cabbage Festival, a celebration of Florida’s state tree, the cabbage palm. “The Belle of the Caloosahatchee” is home to about 5,000 people, and is a center of citrus and vegetable production, along with cattle ranching. In Hendry County, our LaBelle personal injury and wrongful death lawyers provide the knowledgeable and assured advocacy that traffic-crash victims need to recover damages and get back on their feet after a serious collision. Hendry County sees some 270 traffic accidents in a year’s time, leaving an average of more than 5 people per week with injuries. If you’ve suffered severe injuries – multiple broken bones, deep cuts and lacerations, organ damage, brain damage or other serious harm – you need an attorney experienced in handling the intricacies of crash cases. LaBelle car accident attorneys at Associates and Bruce L. Scheiner offer you that kind of professional know-how. We know that alcohol plays a role in about one in three car accidents that occur in the U.S., we have taken special care to build our knowledge base and skills in handling claims for victims of impaired motorists. Our firm is known as a vocal and visible proponent of highway safety, and we are proud to support efforts by our community and law enforcement agencies across Southwest Florida to remove drunk drivers from our roads. Here in Hendry County, drunk-driving crashes number almost one per week. In the most recent year for which state figures are available, 5 people lost their lives to drunk drivers in our county. 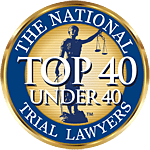 LaBelle accident lawyers at Associates and Bruce L. Scheiner provide the tenacious representation families need when a loved one has been hurt or killed by a drunk driver. We understand the pain that such accidents cause, and we work tirelessly to provide the real help grieving families need during the difficult aftermath of a drunk-driving crash. Hendry County’s open roads are an attractive locale for motorcyclists seeking a relaxing ride. But the LaBelle motorcycle accident lawyers at our firm know that those open roads can pose problems for motorcyclists just as busy city streets can. In Florida, more than half of the fatal traffic crashes that occur statewide take place in residential areas and open country. Because our firm’s founder Bruce L. Scheiner is a motorcycle enthusiast, he understands the issues bikers face, and he has led our firm in support of motorcycle safety programs. He also has led our firm’s practice in handling cases involving motorcycle injuries. We have nearly 40 years of experience in achieving positive results for riders who have been hurt by careless or negligent motorists. We can help you, too. When car accidents, truck accidents, motorcycle accidents, drunk-driving accidents, bicycle accidents and other motor vehicle accidents leave you or someone you care about with serious injuries, your attorney is the key to a successful damage claim. Associates and Bruce L. Scheiner, Attorneys for the Injured, is known throughout Southwest Florida as a powerful advocate for injury victims and for families who have lost loved ones in traffic crashes. Call our firm today and ask for a free evaluation of your injury case. If we represent you, then you pay us nothing unless we win.